"His responsive approach and ability to get on top of the papers really quickly is very impressive. He is able to give robust advice directly to the client both at technical and practical levels." Alexander has a broad traditional chancery practice incorporating both litigation and advisory work. Alexander’s practice is predominantly split between all manner of trust and inheritance disputes, the work of the Court of Protection and non-contentious trust, estate and taxation advice. 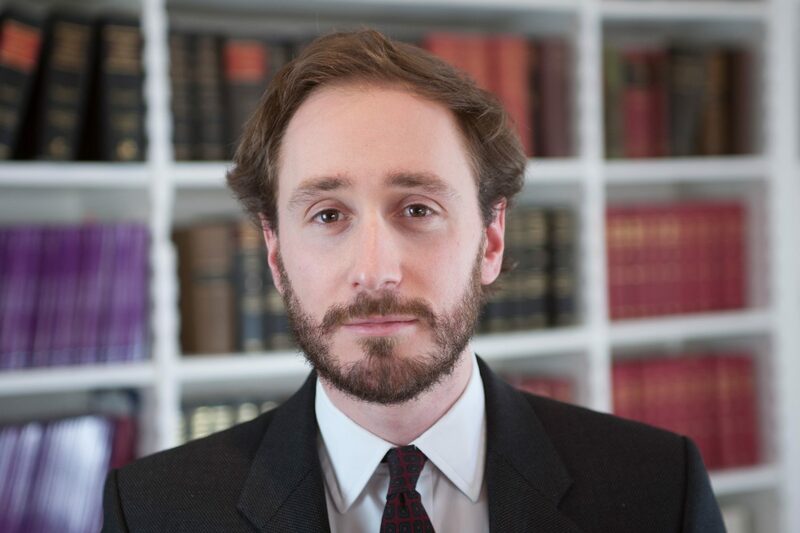 In addition, Alexander has an interest in slightly less common areas of work including entails, settled land and chattels, perpetuities, complex non-contentious probate and the law governing the disposal of dead bodies. Alexander accepts instructions in all areas of chambers’ work and regularly appears in the High Court and County Court. Alexander’s contentious trust work includes all actions for breach of trust and the removal of trustees, establishing resulting and common intention constructive trusts, construction and rectification of trust documents, and trustees’ applications for directions. In the estate context, Alexander is instructed in all probate claims, including those alleging lack of capacity, want of knowledge and approval, undue influence and fraud. Alexander also advises and acts in estate administration claims of all kinds, including those for the removal of personal representatives or claims for an account, as well as claims for the construction and rectification of wills. Unusually complex or tactically important non-contentious probate claims in the Principal or District Registries are a specialism of Alexander’s. Alexander is always willing to advise on the inheritance tax and capital gains tax aspects of all his work and has experience of advising on and leading tax-driven applications under the Variation of Trusts Act 1958. Anstey v Mundle and anor  EWHC 1073 (Ch)  Inquest LR 47  WTLR. 931 – advising and representing the Claimant in both an application for an urgent interim injunction to restrain the repatriation of her late father’s body to Jamaica and a subsequent a trial in the High Court for final directions as to the body’s disposal. There was a family dispute as to whether or not the deceased should be buried in the UK or Jamaica. The court dealt with the interrelation of the power to make a grant for these purposes in the deceased’s estate under s.116 of the Senior Courts Act 1981 and the inherent jurisdiction of the High Court to give directions as to the disposal of a dead body. Slattery v Jagger  EWHC 3976 (Ch) – advising and successfully representing the Claimants in a two-day will rectification claim in the High Court. Alexander’s practice includes many claims under the Inheritance (Provision for Family and Dependants) Act 1975. He acts for claimants of all types and for defendants. His taxation expertise is often useful in achieving an efficient settlement. Alexander is frequently instructed in the Court of Protection. His practice is primarily in the property and affairs work of the court, where his chancery experience is particularly valuable. Alexander advises on and appears in applications for statutory wills and gifts; estate planning on behalf of incapacitated persons; the removal of such persons as trustees; and the exercise of trust powers on their behalf. Alexander was recently instructed, together with David Rees QC, by the trust corporations of 11 leading solicitors’ practices in the hearing of 36 applications for deputyship, listed together as a test case. The judgment of HHJ Hilder, listed below, outlines what is necessary for the court to be sure that a trust corporation is suitable to be appointed deputy for property and affairs and creates a mechanism whereby that information can be provided. It is likely to lead in due course to a revision to Form COP4. Given the increasing use of trust corporations and their benefits to incapacitated individuals and professionals, the case is a helpful one for the wider profession. Alexander is often instructed by the Official Solicitor in property and affairs applications, including recently in Re PP, long running litigation in which the ratification of a large gift by an attorney was sought. Part of the gift was ratified but the attorneys, who included a professional, were removed by the Court, deprived of their costs and ordered to pay all of the Official Solicitor’s costs save for £4,000. In addition, guidance was given concerning the conflicted position of some attorneys when investing in inheritance tax-saving products, such as ‘Octopus’ bonds. The judgments are listed below. In the health and welfare context Alexander appears on applications concerning incapacitated persons’ care, contact and residence. Alexander has substantial experience of appearing for an NHS Clinical Commissioning Group in s.21 MCA 2005 challenges to deprivations of liberty. Alexander’s chancery background can be of assistance where the disposition of the incapacitated person’s assets is key to understanding the options available for their care and residence. This can also involve a consideration of the preservation of such persons’ means-tested benefits. • Re JW  EWCOP 82  COPLR 36. • Re PP  EWCOP 29,  EWCOP 65 and  EWCOP 93. Alexander regularly provides non-contentious trust and estate administration advice, including advice on capital taxation and tax planning. In addition, Alexander is always willing to deal with non-contentious issues requiring the assistance of the court, such as some applications for the replacement of incapable trustees, agreed construction and rectification claims, and non-contentious trustees’ directions. Alexander read English Language and Literature at King’s College London from where he graduated with First Class Honours. He achieved a Distinction in the Graduate Diploma in Law at City Law School, where he also undertook the BPTC. Alexander was awarded a Hardwicke Entrance Award by Lincoln’s Inn and is also a Lord Denning Scholar. Member of the Chancery Bar Association. Alexander frequently writes articles and lectures on areas within his practice area. Recent topics include trusts issues in divorce law, Beddoe relief, inheritance tax planning by attorneys, and claims for the rectification of wills. He has also lectured at UCL on inheritance tax and written headnotes for the Wills and Trusts Law Reports. Click here to view Alexander’s Privacy Notice.